Arrival at International Airport and assistance. Transfer to Hotel. Welcome drinks followed by tour briefing. Check in and rest. After short rest visit Pashupatinath temple – holiest and oldest Hindu temple and Boudhanath stupa – one of the biggest stupa of the world. Overnight at Kathmandu. Morning after breakfast drive to Pokhara. En-route stop at Kurintar and take cable car ride to have darshan of Mata Manokamana Temple (Wish Fulfilling Goddess). Return back to highway and continue drive to Pokhara. Reach Pokhara- finest nature’s paradise city. Check in and rest. Overnight at the hotel. Morning after breakfast fly to Jomsom. Assistance upon arrival. Express check in to the hotel and walk upto Jeep station. Jeep drive to Muktinath. Darshan, Snan, puja and return back to Jomsom. Overnight. Breakfast and fly back to Pokhara. Assistance upon arrival and transfer to hotel, check in and rest. Afternoon, go for half day city sightseeing covering Davi’s Fall also known as Patale Chhango, Gupteswor Mahadev Cave, Bindabasini Temple and Fewa lake with one hour boat ride upto Barahi Temple located in the middle of the Fewa lake. Rest of the day is free for personal activities, to roam around lake side area. Overnight. Breakfast and drive to Chitwan National Park (150 kms / 04 hrs). Reach Chitwan, Welcome tika, Welcome drinks. Check in, Lunch and Rest. Evening go for Tharu Village Walk, Stic dance. Dinner and Overnight. After breakfast drive back to Kathmandu. 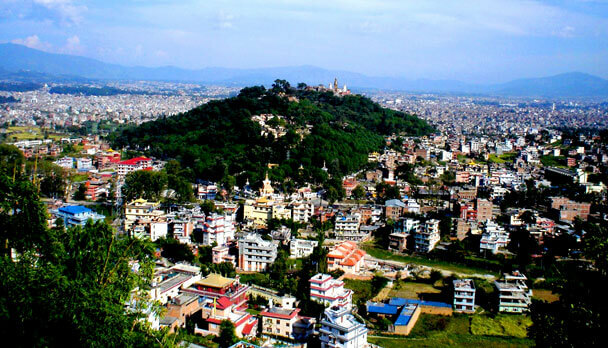 Reach Kathmandu City of Fine Arts “Patan Durbar Square” Which includes famous Krishna Temple and More. Check in and Overnight. Breakfast and timely transfer to the international airport for onward flight.